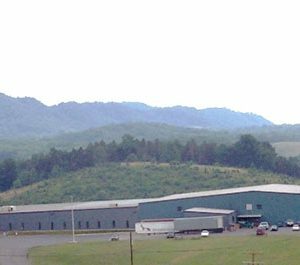 Located in Russell County Industrial Park, this building (constructed in 1990) features office space, a production area and a warehouse adaptable for multi-purpose uses. Ceiling height is 22-feet to 27-feet clear in the warehouse and 12.5-feet to 17-feet clear in the production area. The facility also features seven dock-height doors and one drive-in entrance. The site has access to public water and sewage and to CPC OptiNet, a fiber-optic infrastructure capable of tier-4 data center performance.